When Phil suggested we do another ramble around Burrator Reservoir last weekend, I did initially think it was an unwanted distraction from the hundred or so tors I've still not bagged and the vast tracts of Dartmoor I've yet to discover, but what the hell, there was good company to be had, a missed outcrop in need of collection, and I was keen to show off a neglected lump of granite in the Rough Tor Plantation. In various forms and deviations, I've done this tramp four times. On those occasions it was the summer or autumn, but now the bracken was dormant, foliage in woodland was minimal, and it proved an ideal opportunity to take in what had been missed before. So, we started the day meeting up at the Fox Tor Cafe. The party of four today were me, Sarah and Phil, and his friend Alex. 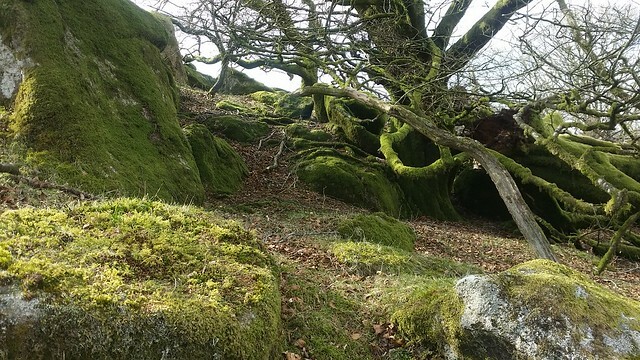 Keen to show off some of the best of Dartmoor to his mate, this is why Phil chose to retread our old route, but this time we would do it in reverse to shake it up a bit. Parking below Sharpitor, on the B3212, we were off over Leather, Lower Leather, down to the Devonport Leat, and the car park by the River Meavy. All fairly simple without the cover of bracken. 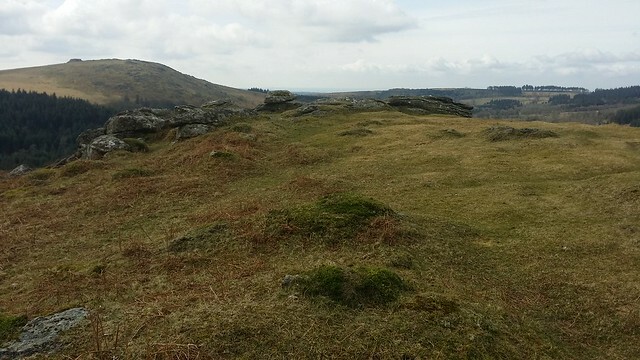 Then, up on the hill towards Down Tor, we side stepped to the missed outcrop I mentioned. 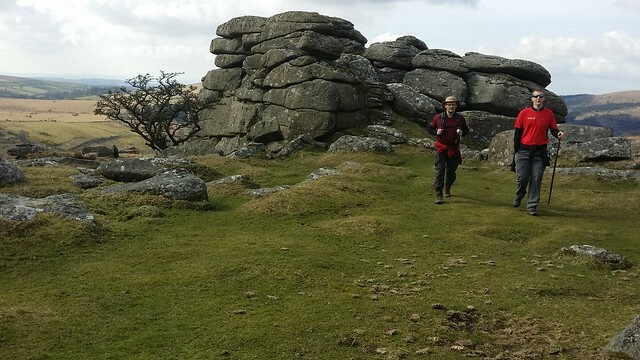 Whilst I recall visiting Middleworth Tor in my distant pre-bagging, GPS tracking, Social Hiking days, when Phil and I did this route in reverse a couple of years ago we failed to see it for the vegetation. Include the fact that, going by dodgy coordinates we were using back then, we had thought we had discovered all the tors we were expecting to find, and merrily stayed on the footpath, chatting down to the car park. 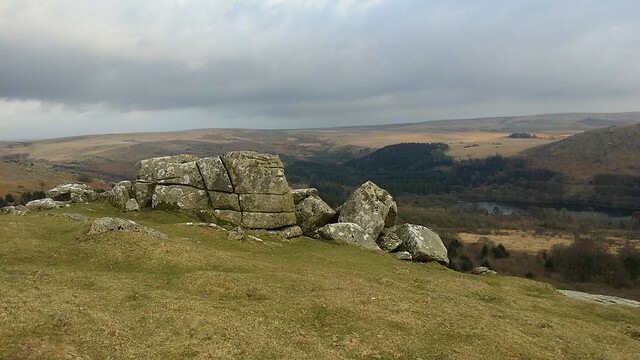 Back then, we were descending from Little Down Tor with coordinates for Snappers that took us off to some large boulders on the edge of an old tin works. We accepted this must be the correct place, as we'd seen less significant outcrops in the past, but we now know that the grid reference was wrong and we should have kept on the path descending the ridge. So, what we later took for Middleworth, was in fact Snappers, and Middleworth was missed further down, shrouded from sight, by both the trees and our being too preoccupied. Confused? It doesn't end there. 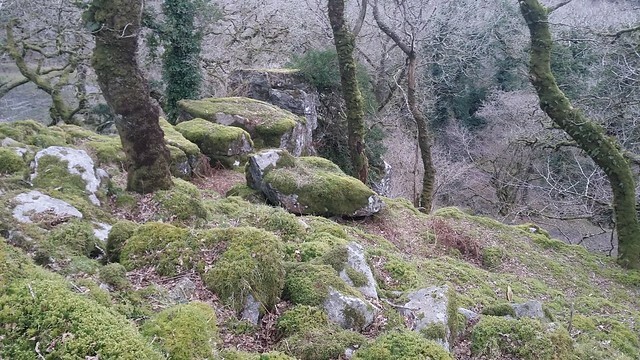 There is some contention as to which of these two outcrops is which. I'm firmly in the camp that the higher outcrop is Snappers, placing the other just above the ruins of Middleworth Farm, which makes more sense. 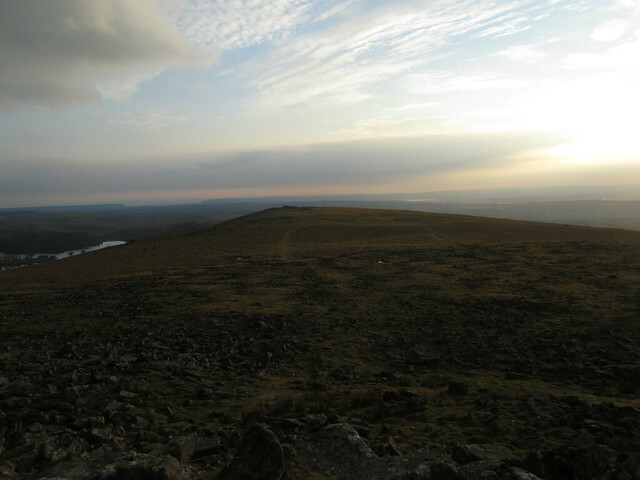 With that cleared up, we moved on, up over Little Down and Down Tor to Hingston Hill. 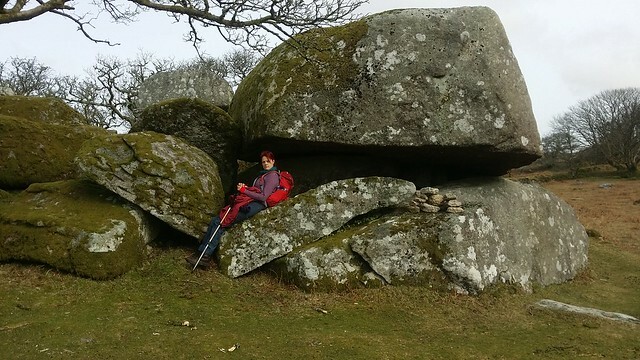 We ventured over to visit the magnificent Bronze Age Hingston Hill (Down Tor) Stone Row and burial cairn. 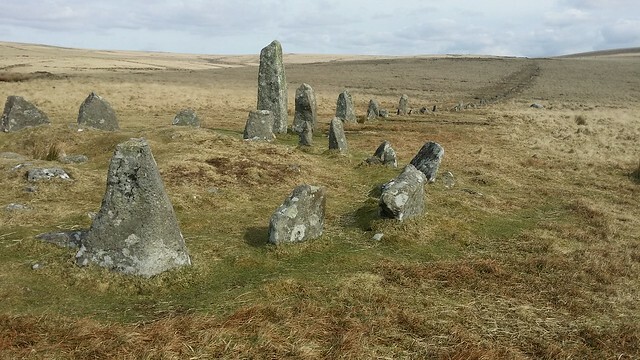 Restored in 1894, this is one of Dartmoor's finest and with it's location being less accessible than, let's say, the excellent Merrivale site, for example, makes it all the more appealing. 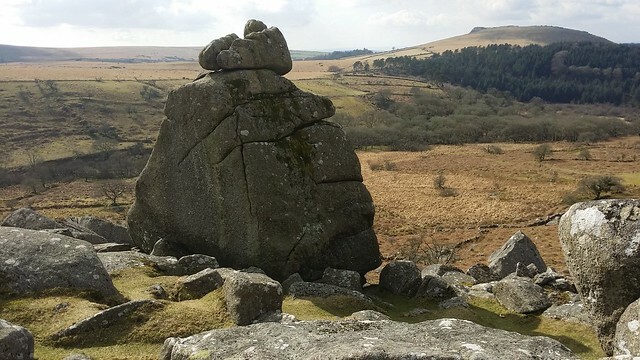 We then nipped up to Combshead Tor, then turned, descending to have lunch at Cuckoo Rock, basking in the sunshine. It was turning out to be a wonderful day! From Cuckoo, I could spy, south-west, our next tor among the trees across the Narrator Brook. The woodland's lack of canopy exposing Click Tor and making it an easier task than it is in the warmer months! 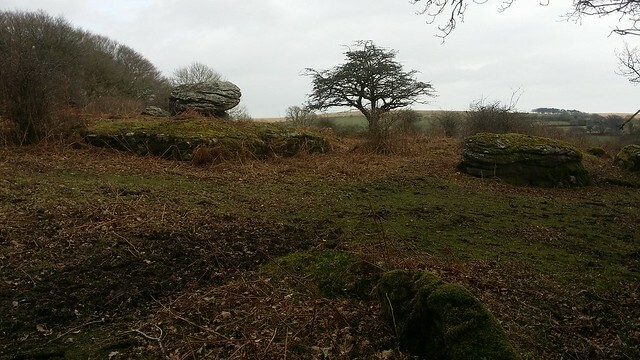 But first, we had to drop down to the brook, passing the ruins of Combshead Farm, to find a way to the other side. Taking an old farm track, we climbed up through the fields to the fence on the edge of the wood. We hopped over and wandered in to explore. 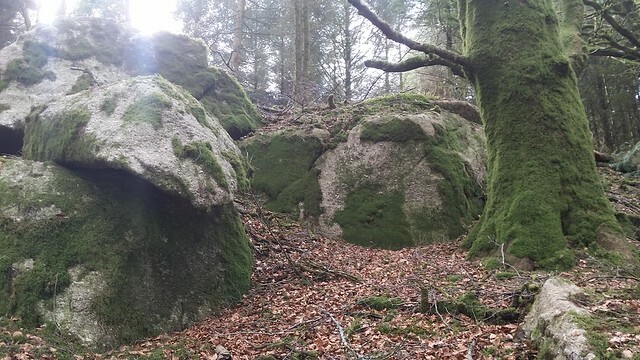 The exposure helped enormously, and it was easy to negotiate Click Tor; a collection of large granite boulders coated in moss. It's stature explains why we struggled to see it in the height of summer, so this is definitely a tor to seek in the winter. 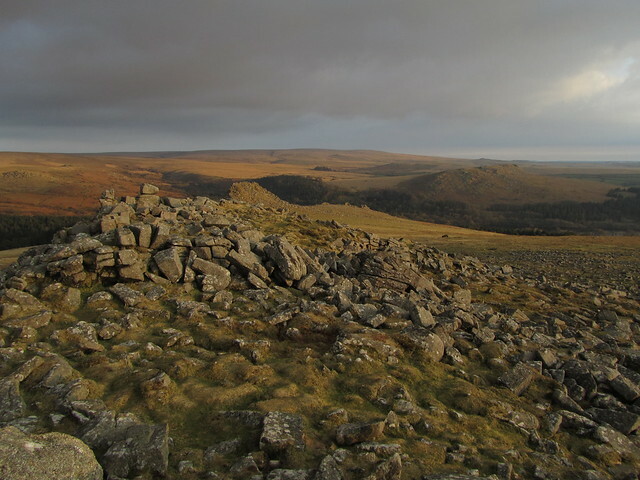 We returned to the track, and set off for Rough Tor. Being a plantation, blighted by conifer, we were expecting the darker environment we experienced before. What we found was extensive logging and deep tracks from the heavy machinery. Our intention was to follow the wall to the top and then venture into the darkness, but the carnage of the path soon put paid to that, and I took us in further down, attempting to contour the hill and find another track I knew existed. This proved to be our good fortune. 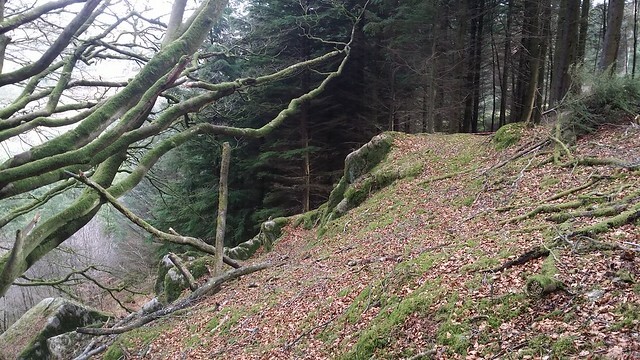 We discovered plenty of outcrops on the slopes above the Narrator Brook. The trees were deciduous, and so the area was light. 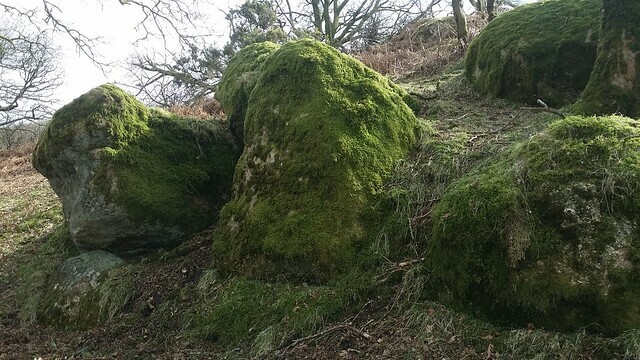 We clambered about on these slopes, taking in the find. Phil asked if I was "happy" which I take as a sign that patience with my tendency to linger in these places was waning and it was time to crack on. 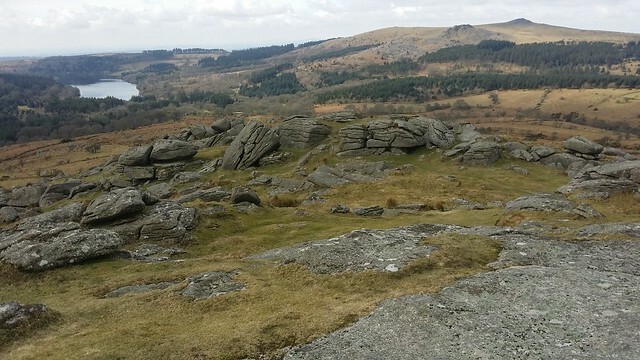 We found the track, but it too was in an awful state, and so we ignored it and climbed up through the trees to Rough Tor. The logging here had exposed the area and it was much easier to find the outcrop. It was also looking more "tor-like" in the light. 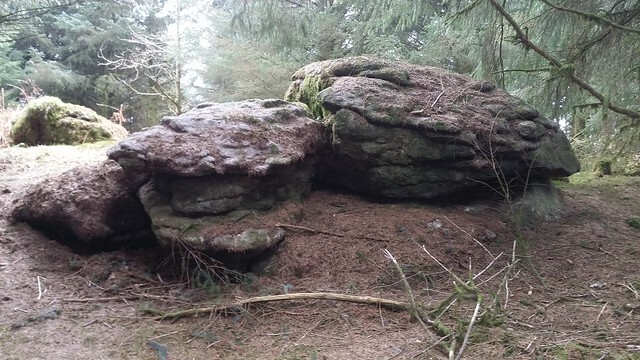 The same could be said for the lower outcrop I wanted to show Phil. I have to say, the clearing of the trees has ruined the atmosphere that this spot had. 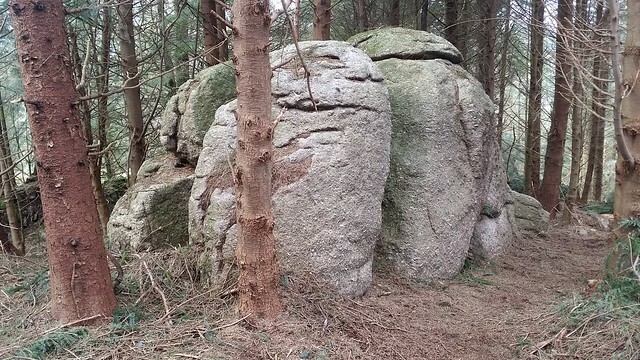 I had even brought a tripod expecting the darkness to make it difficult to photograph, but this fine rock was now basking in the winter sun, likely, for the first time in over a decade. 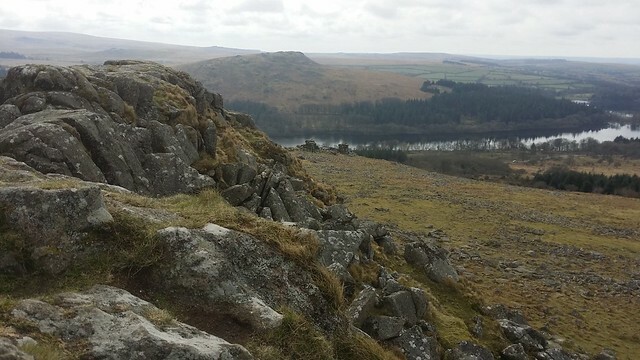 Out of the plantation, up to Narrator, and Sheeps Tor before descending, via Maiden Tor, to Burrator Reservoir. 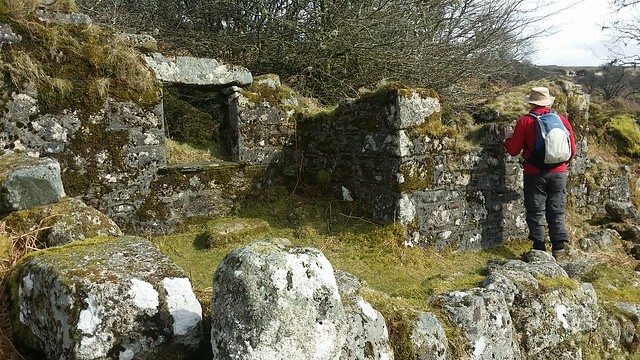 At the dam wall, we headed into the woodland above the River Meavy, and Burra Tor. this too was displaying more of its granite. It was more extensive than we realised. 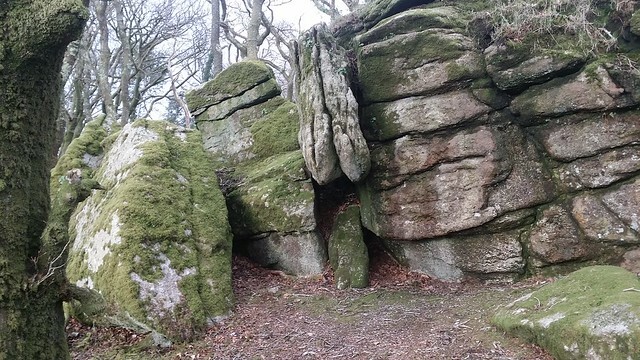 Its highest outcrops were the other side of a fence, in a field, but its more interesting pieces are free to clamber around in the woodland. 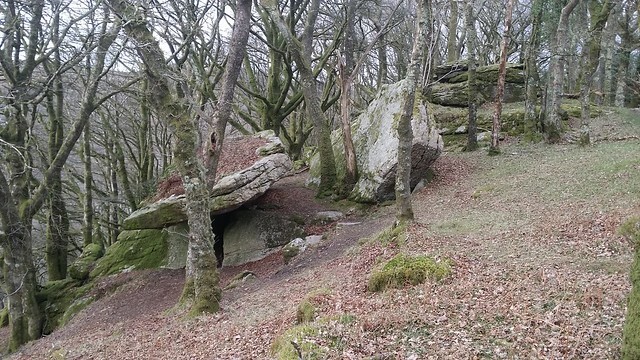 Indeed, the lack of leaves showed the slope to the Meavy was dotted with granite, and I decided I would return to spend more time around here another day. We returned to the road across the dam. 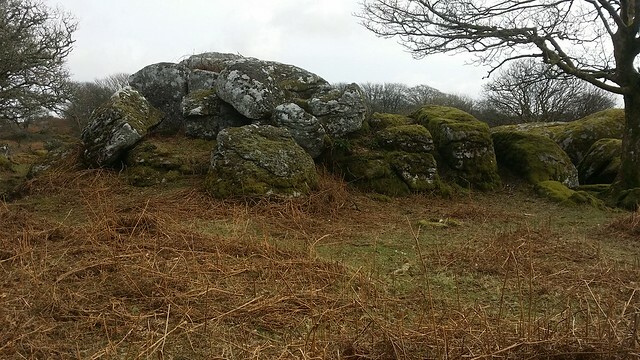 On our way to Claig Tor, we spotted a substantial outcrop to our left, below the road. I took that this was likely an extension of Claig, to the right, parted when the road was constructed. Time was getting on. We left Claig Tor, taking the disused railway track to Peek Hill Plantation. Through the woods, we came out below the hill. 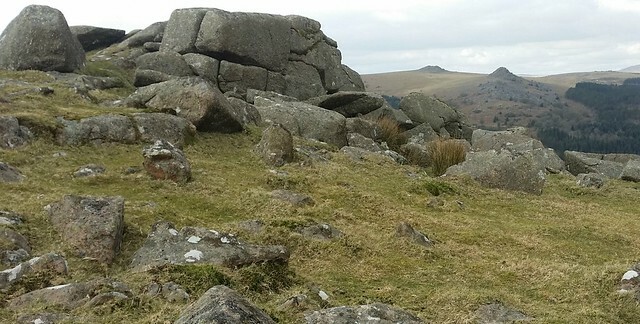 We contoured round to Lowery Tor then struck up to Peek Hill and Sharpitor. By now, the setting sun was painting the landscape a mixture of browns and orange. We paused at Sharpitor to take it all in. The round complete, we returned to the car. 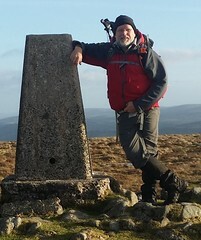 My first decent walk of the year, and the thighs and ankles were certainly feeling it. This route is certainly one for all seasons, but I have to say that for tor bagging, the winter is the better.